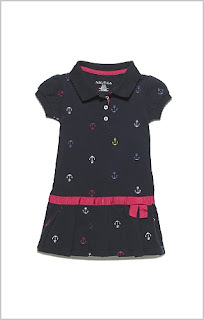 Right now Nautica is offering FREE shipping on any women's item (ends 8/31)! FREE shipping on all orders over $100 AND $25 off $125, $50 off $175 (ends 4/1). And lastly 15% off with code NAUBHSV1501 (this may apply only to first time orders-I am not sure). Plus all my Mr. Rebates girls-get 4% back! I love the anchor sweater! 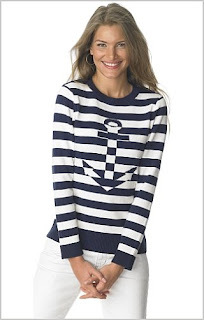 I love the top sweater with the large anchor on it! So cute. I use ebates but had never heard of that other rebate site. thanks! I love the striped sweater! OMG! I love all of those outfits!!! 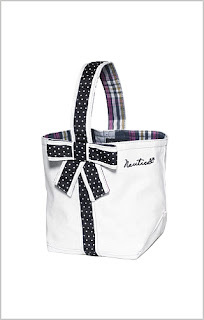 The tote with the madras lining is adorable! Gosh, I really really love that first top - the anchor one! Cute! 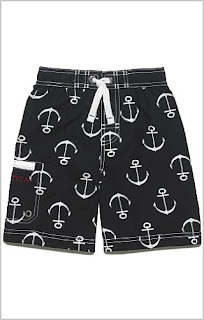 I have to get those adorable swimming trunks for my little boy!! Oh, and what did you think about Gossip Girl Monday nighT?! That polo is adorable! I will definatly have to consider the navy with white anchors one. Thank you for the codes! This is too funny Miss Nautical! Great minds indeed! That tote is great! Perfect for spring!